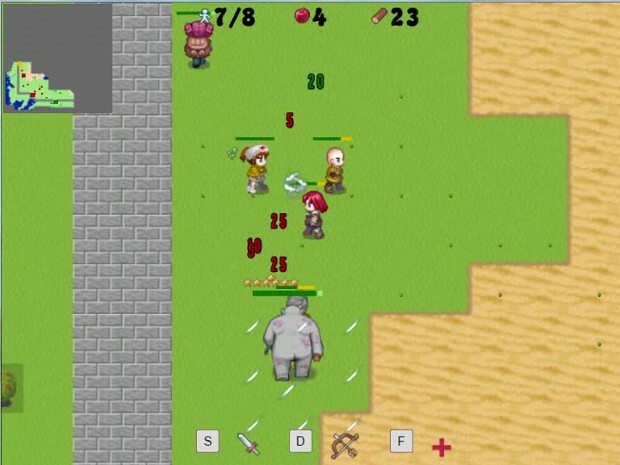 Pioneerz make you a pioneer in a fantasy world, it’s a sandbox RPG focus on town protection. Live the life of a fantasy pioneer: Help your town to grow by protecting it and gathering resource. And in the same time explore the world and fight enemy towns. But be careful, the world is fully living (Plants grow, animals reproduce, towns are expanding…) And you never know which danger you will encounter (rabbit invasion, wandering trolls, underground scar…) Help your town, improve your ability, expand your kingdom! The road is harsh to make a peaceful empire! A pioneer's life : protect your town, gather food, explore the wilderness, fight hostile animals, conquier ennemies town... The road is harsh to make a peaceful kingdom.